On Thursday, June 8th, our Fall Creek Mexico team will be exhibiting at the Seminario Internacional show in Guadalajara. If you plan to attend, stop by and see our team. Jeff Ford, our Latin America Sales Manager will be there along with Salvador Alvarez, who represents sales of Fall Creek's plants in Mexico. 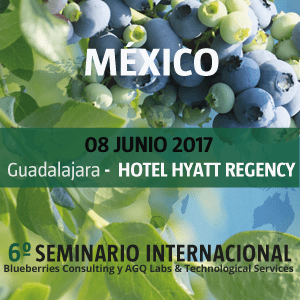 Karen Ruiz, our Technical Grower Support Representative in Mexico will be giving a presentation on variety updates and commercially growing blueberries in Mexico. We hope to see you there!